In-Home Fitness Solutions clients are offered individualized services based on their fitness goals and current health status, according to Tyler Dukes, who assesses patients and comes up with a plan, often with the inclusion of family members. After seeing skilled nursing facility patients continue to be admitted with conditions that were largely preventable, Tyson Dukes started thinking about starting his own company to help keep seniors at home longer. “One of the things I kept noticing was, frequently, people would come into the skilled nursing facility for short-term or long-term care, and I thought if I could have seen these people before their fall or accident, I could have helped them and prevented them from a stay in a SNF,” Dukes told Home Health Care News. With this in mind, Dukes gained a senior fitness specialist certification and set out to help seniors by preventing falls and accidents that could land them in the hospital or a SNF. In July 2017, he officially opened the doors to In-Home Fitness Solutions, which offers at-home fitness health programs for seniors on an individualized basis. The five core programs offered focus on strength training, balance training, flexibility, coordination training and mobility training. Much of the focus is on helping seniors avoid falls and fractures at home, one of the most common reasons for SNF admission that Dukes observed during his long-term care tenure and the leading cause of injury and death in older Americans, according to the Centers for Disease Control and Prevention (CDC).“I tell all my clients that before we do anything, we have to bring up their foundational strength, like building a home,” he said. 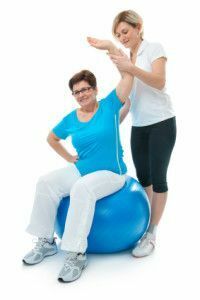 “You can’t build a home without a good foundation, and older adults unfortunately lose some of that foundational strength over time.”Some clients will do fitness sessions several times per week at home to gain strength and balance before Dukes will focus on maintaining their current level and continuing to build. Maintenance, he says, is a word that doesn’t always bode well with insurance providers in terms of covering costs.Currently, all the services are paid for out of pocket by clients. Looking ahead, Dukes sees potential for the business to expand rapidly across the state.“I want to grow the business to where it’s not only in my region, but throughout the state of Iowa,” Dukes said. “My expectation is to be a franchise business where we can partner with other good companies to offer services and help people stay at home as long as possible.”Dukes is also currently working on building relationships with home health and home care providers in the area, and other service providers focused on proactively keeping seniors healthy at home. Right now, his biggest challenge is educating prospective clients and other regional providers about the services, he said.“At the end of the day, I just want to help people stay at home, where their identity is based,” he said.Tyson Dukes, an Okoboji, Iowa-based physical therapist assistant, has spent the last 20 years working in health care and several years in long-term care. This entry was posted in Aging at home, Caregiving, Caring for a Veteran, Elder Care, Elder Care Goods and Services, Holistic Eldercare, News, Senior Natural Health Care, Stories and tagged at home care, exercising at home, home fitness for elderly, physical exercise, senior care. Bookmark the permalink. This is a nice blog. Informative and helpful, also. Keep posting. PapayaCare – Assisted Living Senior care.